Figure 6 Lateral knee radiograph of Osgood Schlatter. therapy to increase flexibility of the hamstring, quadriceps, and hip flexors along with core body strengthening. Icing after activity for 15 to 20 minutes and NSAIDs on an as needed basis after activity can help control pain. A patellar tendon strap (a Velcro strap placed across the patellar tendon to decrease tension on the tibial tuberosity) may also decrease pain. Athletes may continue to participate in sports as long as they are not limping or having a significant increase in pain. The enlarged tibial tuberosity is a permanent feature of OS that lasts into adulthood. Beware of an athlete presenting with "acute OS" as he/she must be evaluated for a Salter Harris type III fracture of the proximal tibia or tibial avulsion. If an athlete can not perform a straight leg raise concern for a more serious injury such as those listed above or a patellar tendon rupture should be addressed. Rarely, if conservative methods fail, casting in extension or surgical excision of ossicles may be recommended. Sinding-Larsen-Johansson (SLJ) syndrome is a similar traction apophysitis that occurs at the inferior pole of the patella in 9- to 14-year-olds. 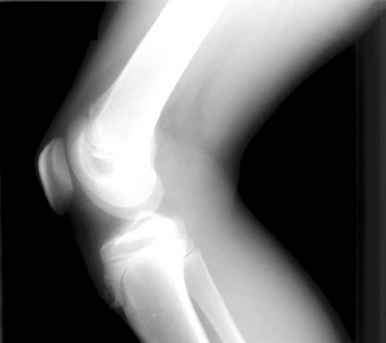 Fragmentation of the inferior pole of the patella may be seen on lateral radiographs. 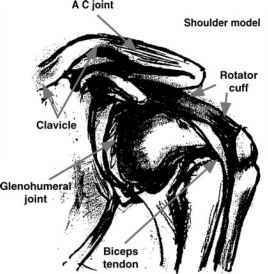 It causes discomfort with the same activities as OS and is treated similarly. Beware the acute SLJ as one may have a patellar sleeve fracture that requires surgical management. Straight leg raise testing can evaluate this extensor mechanism.